When I go hiking or visit natural areas, I've never really actively sought out butterflies like I have birds. I don't keep a "life list" like I do with birds, and I don't spend the same amount of time studying field marks or determining the proper micro-habitats. That said, I never pass up a butterfly, especially when I have my camera. 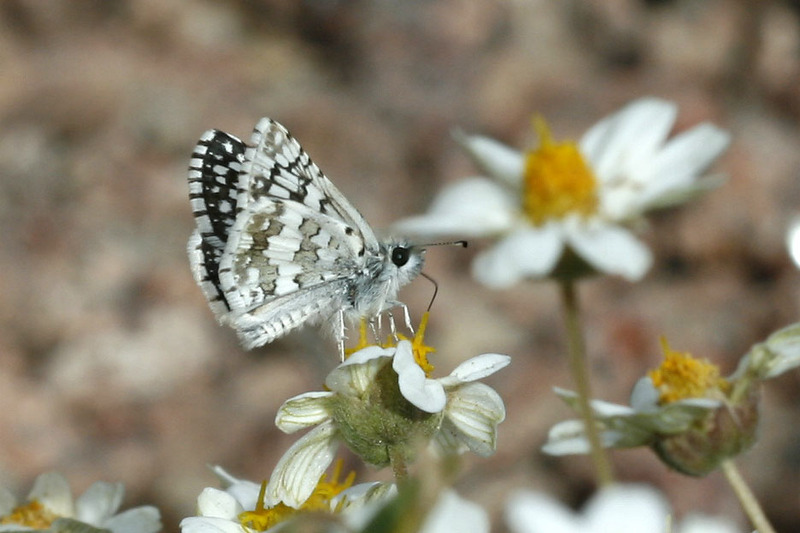 In early November I happened to spot a white skipper in my front yard, snapped a few photos, and lo and behold, it is was a White Checkered-Skipper (Pyrgus albscens), my 50th butterfly species photographed. This is actually a quite common butterfly across the desert southwest USA. 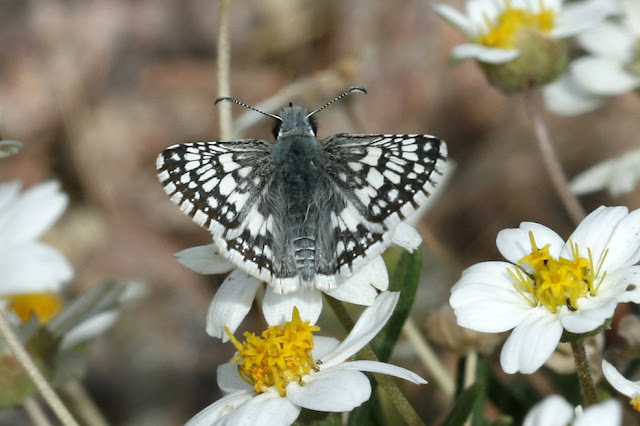 However, there is a slight chance that it is a Common Checked-Skipper (Pyrgus communis). These small skippers are easily overlooked, and can be difficult to identify. The Common lives in most of the USA and is, in fact, common. The White, as I saw, looks identical to the Common, and can only be separated through dissection. But it is believed that the White is the only species in the low desert, so given my location I am assuming it was the White Checked-Skipper.